The community is not the MMO. That should be obvious. There is a game to League of Legends that exists without any of the toxic nonsense that has cropped up around the game. There is a big portion of the actual mechanics and design that you can enjoy even if you hate the entire esports culture, the chest-pounding, the awful behavior that people justify around the game. The community something that developed around the game. The community is the MMO. That should be obvious. League of Legends is a game that fails to operate properly without the community, not just from matchmaking but from the parts that make it enjoyable and surprising. It is a game that has been designed with a specific style of play in mind, a specific sort of community in mind, and with game mechanics that reinforce that need to communicate with others and coordinate in specific ways. You cannot cut the community out from the game. Both of these statements are true. Life is hilarious. As a general rule, I’m skeptical of listing the community as a point in context of an MMO. This works in both directions. Sure, lots of people will talk about how great the Final Fantasy XIV community is, and they’re right, but it doesn’t exactly take a month-long search to find a lalafell with an offensive name who takes pleasure in making everyone’s life miserable. The toxic elitism of World of Warcraft’s high-end progression community is the stuff of legends, but you also have high-end progression teams carrying people through content toward the end of an expansion for special cosmetics. Every community has peaks and valleys, in other words. That isn’t the same as realizing it exists, though. Communities are good! They’re just not the game, which is more about the mechanics and systems underpinning the overall design. Remember an earlier column wherein I talked about the idea that having fun doesn’t mean that a game is any good? This is an outshoot of that. You can be having fun in games that are bad, and you can be invested in a good community even in a game that is otherwise plagued with a noxious playerbase. You might have found the one friendly group of people to play LoL with. And that’s great! It’s just not half a patch on the game’s overall community. Nor does it really reflect the game. There’s an old saying that you should never fall in love with a bar because half of what you’re falling for is the people at the bar; they will leave, things will change, and you will be left wondering why this place mattered so much to you. None of this means that the community you surround yourself with is irrelevant; it just means that it’s a thing, a collection of people in a space that means something. It isn’t part of the game, and thus it exists in a separate sphere. Easy, right? Except that all of that is only about half true. And let’s take another look at LoL and consider what the game’s community is actually like from a design perspective. LoL is a free-to-play game with low system requirements, meaning that the barrier to entry is essentially nonexistent. It’s also a game that doesn’t actually have any up-front lore or PvE components beyond minor elements in the midst of a match, thus ensuring that the people who are going to be playing are ones who want the PvP matches and aren’t concerned with any sort of world. And it’s a game wherein rewards are entirely structured around winning more and not being held back by teammates. So, in short, you have a game wherein its community will have no filter for entry, all of whom are there primarily to fight for rewards based entirely around winning. There’s no prize for playing well and losing, just winning. Do you think that community is going to be dominated by people who want to be patient and supportive? I would say not. In fact, I’d say that you’ve designed a game that not only permits meathead chest-pounding as a primary interaction but actually codifies it. In fact, playing the game as someone with a love of lore and emphasizing quality of play over winning at all costs actually makes you less likely to be good at the game as it’s meant to be played. Can you really, with a straight face, say that this means you shouldn’t take the game’s community into account? When you realize that the worst elements of the community aren’t something that just happened but a feature deliberately added to the game? When the mechanics are clearly meant to enforce this behavior? That’s not to say that there’s anything forcing the community to then embrace hate speech and harassment, of course. But the game is designed for a community that’s almost tailor-made to foster these elements. And that’s when you get into the tricky territory because while the game’s community is not the game itself, the game is designed for a specific community – even if the designers aren’t aware of it or want to claim it isn’t. Look at the changes made to Overwatch in the hopes of reducing player nastiness. At first blush, it might seem ridiculous to add in the whole reputation system in the game, that the community won’t support it and it won’t matter. But this is actually an example of the game designing for the community it wants. Suddenly you want to pay attention to good play and friendly players, even if it means you end up losing. The game’s design shifted and a different community was more prioritized. That not only empowered the community but shifted the overall game away from a certain playstyle. Design and community play off one another in varied and subtle ways; the advantage of talking about games like LoL and Overwatch, for example, is that we can see how these designs actually played out and that the designers thought of the loopholes ahead of time. It’s harder to see ahead of time, for example, whether Pantheon’s group-finding tools and community building will actually foster the sort of everyone-gets-along ad-hoc partying that it wants to have in place. I can tell a convincing story where it works and a convincing story where it doesn’t. But either way, it’s a clear example of a studio recognizing that you do design for the community you want to have. Your game gets the community it’s courting, even if the size of that community isn’t what you want it to be. And sometimes it’s the community that’s actually interested in your game, even when you think your best content is something else altogether. So in the end, no, a community does not make a game good, and the loss of your community does not make the game bad. But neither should we pretend that the community exists in some sort of liminal space apart from the game that’s been designed. The two things relate to one another, even if one can’t excuse the virtues of the other or vice-versa. Sometimes you know exactly what’s going on with the MMO genre, and sometimes all you have are Vague Patch Notes informing you that something, somewhere, has probably been changed. Senior Reporter Eliot Lefebvre enjoys analyzing these sorts of notes and also vague elements of the genre as a whole. The potency of this analysis may be adjusted under certain circumstances. Where you have groups of people striving to improve, to complete, to cooperate, to evolve; you will have competition. However, leadership is showing how to become what you were not in the beginning to those that are unsure of themselves and what lays ahead. It is inevitable that there will be some competition in our games and especially in our massively multi player online games. How you prepare mentally is how you move forward be it victory or defeat. Value those that trust in what is most important in any human endeavor. Comradery. First – I think community is more important than many studios really believe when they set out to build their games. A strong and welcoming community can act as a hook and help get people to try the game and stay long enough to get invested, a weak or toxic community can likewise drive players away. A vibrant and active community can help keep players playing (and paying) for longer, while an anemic community can actually lead to players feeling more alone and isolated, and leaving the game sooner than they would have because of it. Second – I think it’s the responsibility of developers to provide tools that the game’s community can leverage, but I think players themselves still own making that community actually work. For example, Pantheon’s efforts to provide a robust toolset for players to find each other are great (although they need to make sure they don’t forget other more subtle things like providing spaces for players to gather and use, or animated emotes, or sitting in chairs, etc). But all of those are ultimately only tools. When the game launches, players and guilds are going to have a choice to use those tools to connect with each other and contribute to each others’ success, or just to focus on themselves and ignore the rest of their server population. If there’s not enough players out there really trying to reach out to others, none of the shiny tools will actually matter in the end. What games can do is try to build things in a way that encourages players to work together with people they don’t already know. Whether that’s limiting the use of instances, gameplay that gives people opportunities to talk to each other during the adventuring, robust crafting and economies, support for roleplayers and social play, or even non-combat forms of gameplay such as trade or diplomacy – the more a game does to make people need each other, the better. After reading this post I can say I’m so happy LoL is played by orders of magnitude more players than any MMORPG. MMORPG fans deserve the shrinking playerbase of their games and constant whining about the genre dying. No it won’t die – this torture should be infinite. Oh and I forgot – City of Heroes still died because it had no future at all. Hard to disagree with anything there. The game concepts, style, rules, restrictions and consequences, obviously set the base of player behavior and therefore the community. The rule is, if any specific toxic behavior is not designed against or taken action against, players will do it. Still in 2019 being online is in peoples mind regarded as a place with no consequence, and without consequence many will degenerate – In real life (which is a stupid term because online is also “real”) if you are toxic, it will have severe consequence through social acceptance, laws and more. In short, players (community) will always go to the limit of what is possible and without consequence – It is not the players “fault”, it is the responsibility of the game. If anarchy is the norm, YOU are not going to be the one following some hard/soft rules no one else is, or even agreeing on. 1. The game itself has changed with thousands of details, to name a few .. tiny xp loss on death & respawning with all gear (no consequence of death while training someone), overpowered classes (mage boxes for example), lowered difficulty (facerolling content), chanter charms has gone out of control and crapping up the game balance (it used to be dangerous and many mobs could not be charmed). Too many players for very little content; 2000+ online for classic (Mangler) ? this is a joke .. 1000+ on luclin content is a little better but still way too many (Selo). 2. Krono (which is real money currency you can trade in game) has made the game a central for p2w players and those who make money of them by buying their krono. Obviously this attracts the pure money makers, but it also makes otherwise competitive players even less respectful. It is the project 1999 effect taken to live servers, where players monopolize content to sell its drops to others. You have to understand that Everquest is a huge place but when it comes to top drops, the camps are very few (maybe 10-20 in the whole game); and while in the past some pixel warrior could get “rich” in game currency and showing off e-peen, now that this means real money, it has become an entirely new kind of game. What Everquest USED to be was players earning their own gear by playing the game, often with help from others, and feeling accomplished for what they achieved .. you don’t feel accomplished buying your stuff from other players (or worse from a game shop). You cannot do this now because you are blocked by a farmer more or less 24/7 and even if you get a camp, no one respects it and they will just move in a force you out – If you did that in 2003, bam customer service ban. 3. Daybreak does nothing to cheaters and toxic behavior (aka there is no consequence). This further creates a bad environment because there is a very real balance in these kind of games (mmos) where players must be able to compare against eachother; and nothing worse than feeling that you are in an unjust environment where everyone can fu.k you over and you can do nothing against it. Community is and always will be a big part of what makes a mmo attractive or not. Sure its not everything but it is important. And yes i agree other times intentionally and others not community type is driven. Lets take a common element in recent games in PVP element. 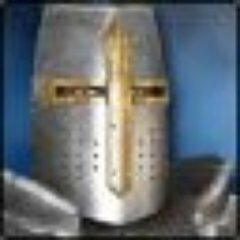 PVP isnt new thing, it existed almost always on mmo and usually in the mold of all-in-one mmos mold PVPers and PVErs co-existed. I actually liked and like PVP as a secondary activity and there were a few times it was even primary. The difference is on many games it was sportsmanship and bragging rights or winning a weekly guild war event for fun and some mild benefits, for the majority of games, while most recent ones followed the mold of pre-trammel UO full loot PVP. Full loot incentives the PVP as a way to make money without taking much effort for it – you farm those that have grinded for days for their things getting them in a snap of the moment just by assembling a zerg of likeminded people. These obviously will lead into a community that wants to trick people into making them vulnerable and easy targets – we all seen “advice” to newer players going that way for example. And to give an idea my first “contact” with a highly toxic community was classic runescape. Its also the first game I saw people cooperating into tricking players into stepping into the wilderness just so their buddy kills them and of course taunting the player afterwards who had already lost everything but a few pieces in a majorly grindy game – it was the EVE stories you heard later on before EVE was even released. Why? because there was incentives to be bad. Likewise scamming wasnt considered a violation – again I dont think I ever seen so many scamming attempts anywhere else. After that I played plenty of games with PVP and never had such toxicity and PVP was fun and often those who killed each other were friends for example after the guild war event was over.Penalties for getting killed were there for some of these games but incetives(high gains with almost no effort) werent there for PKers. In my view having a good community can make up for a mediocre game, but the reverse is not true. LOL, Fortnite, or Overwatch might be great games but I’ll never even try them due to the poor reputation around their communities. Interesting topic. A good community doesn’t make a bad game good, and a bad community doesn’t make a good game bad. But the community does influence your enjoyment (or lack thereof) of the game play. SWG is a case in point. Most people who speak fondly of the game do so because of the community they were a part of. The game itself was primarily garbage (which ever the devs will and have admit to), but those who fell in with a great bunch of folks enjoyed their time playing. I appreciate when developers put in the effort to try to keep things civil for both in-game design and out of game social components like forums. Guild Wars 2’s cooperative PvE gameplay that minimizes players being at odds with each other is a big bonus for my enjoyment of the game. Similarly, I felt Trove was good at that too since I largely didn’t feel annoyed when I’d encounter another player out in the world. And while I didn’t get much time in with it, Glitch was pretty good about this too. I had a random player come up to me and offer help, which I thought was nice at the time. I also had a similar experience when I tried out LOTRO for the first time. It really is noticeable when a game attempts to foster positive communities. So, the MMO is-not-is the community, and the community is-not-is the MMO, so it’s probably okay if you design your game to exclude, marginalize or otherwise drive out the people that don’t fit our Vision of things. LoL is toxic. WoW raiding is toxic. Overwatch pushed out a crappy rating system but that’s okay because everyone left it for Fortnite. MMO devs and their players interact and have varying agendas. You could have said that without a wall of text trying to justify the developers playing social engineer with their customers. Not really much in the mechanics or design of MOBAs like that which really draw me, tbh. There’s some nice artwork, there’s hints of things I might like if it wasn’t tied to major annoyances… but the general mechanics are rather anti-logical (and often in need of constant baby-sitting) in many ways which bugs me. Design wise, I might give a little more credit, because of how much that covers. Yeah, there’s reasons I don’t play MOBAs. Not reason, reasons. A few of them might not kill all my potential interest in ‘a game’ but all of them combined certainly do.